The government-managed servicing mission is named Restore-L, and NASA officials hope it will jump-start commercial concepts to refuel and repair satellites. NASA announced Dec. 5 that Space Systems/Loral, a U.S.-based satellite manufacturer owned by Canada’s MDA Corp., will build the Restore-L mission’s satellite bus. The contract is worth up to $127 million, NASA said, but that could represent just part of MDA’s contribution to the mission. The robot arms in development to fly on Restore-L is similar to arms flown on NASA’s Mars rovers — a “combination of in-house NASA expertise and technology, and the best from industry,” said Benjamin Reed, deputy project manager at NASA’s Satellite Servicing Capabilities Office at Goddard. Restore-L’s servicing arms will also be based on a ground test unit developed in partnership between NASA, MDA and Motiv Space Systems. Space System/Loral’s spacecraft design will provide power, communications and propulsion for the Restore-L mission. The Restore-L demonstration will the first of its kind, extending techniques first tried out on space shuttle flights to salvage stranded satellites and refurbish the Hubble Space Telescope. No astronauts will be on Restore-L, but engineers will closely track the mission as it marches through its tasks step-by-step, first to autonomously catch Landsat 7 in orbit more than 400 miles (700 kilometers) above Earth, then lock on to the spacecraft, cut into its propellant tank, and refuel the satellite, and do almost all of it by itself. Launched aboard a Delta 2 rocket in 1999, Landsat 7 was not designed to link up with another object in orbit, and engineers never intended for the satellite to be refueled after launch. “Restore-L effectively breaks the paradigm of one-and-done spacecraft” said Frank Cepollina, associate director of Goddard’s Satellite Servicing Capabilities Office, and former leader of the shuttle servicing missions to Hubble. Robotics experts at NASA’s Goddard Space Flight Center in Maryland have practiced satellite refueling techniques with mock-up tools outside the space station since 2011, when the Robotic Refueling Mission arrived at the complex aboard the shuttle Atlantis on the space shuttle program’s final flight. The refueling demo package hosted servicing tools, adapters and task boards requiring the space station’s Dextre robot to cut into a sealed fuel cap simulating what a servicing freighter might encounter at a satellite that was not designed for refueling. After using cutters to slice through thermal blankets and wires, the two-armed Dextre robot successfully unscrewed a filling cap and transferred ethanol, a simulated satellite propellant, in 2013. The breakthrough demonstrated a satellite could break the seal on another spacecraft’s fuel tank, a mundane task on Earth but one that requires practice in orbit. A second phase of experiments with the Robotic Refueling Mission in 2015 successfully tested a microscopic visual inspection camera, which was called into service to determine the cause of a mysterious black mark that appeared on the space station’s Canadian-built robot arm. 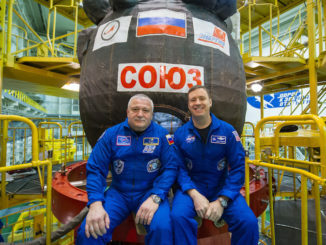 The RRM also practiced techniques for transferring coolants between spacecraft, manipulated electrical connectors, and worked with decals that could aid operations guided by machine vision and recognition, NASA said. Engineers wrapped up the Robotic Refueling Mission project earlier this year, and the package is now awaiting disposal aboard a supply ship after it departs the space station on a future mission. The Goddard-based satellite servicing team is about to send a new experiment to the space station named Raven. 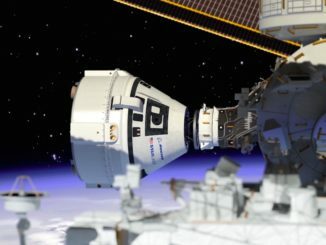 Set for launch on SpaceX’s next Dragon cargo mission in early 2017, the Raven module hosts visible, infrared and laser sensors and a high-speed processor to track the motion of incoming and departing vehicles in the vicinity of the space station. The pose determination is a new challenge for targets not equipped with laser reflectors or tracking markers — what space engineers call “uncooperative objects” — to aid an approaching spacecraft’s navigation system. Restore-L passed a mission concept review in May, followed weeks later by a confirmation review when top NASA managers endorsed the project. Reed said NASA will oversee the rendezvous sensors, dual robot arms and propellant transfer system to fly on Restore-L, leaning on Goddard’s expertise from the robotic rehearsals on the space station, but industrial suppliers will have a role in the payload. 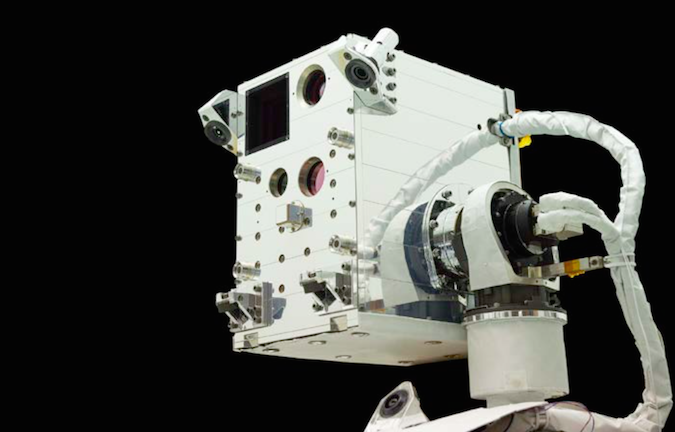 Ball Aerospace and Technologies Corp. is expected to provide a three-dimensional vision navigation sensor for Restore-L’s autopilot rendezvous suite, and NASA is procuring visible and infrared cameras from outside sources. NASA’s robot arms slated for the Restore-L mission also have roots in the Defense Advanced Research Project Agency’s satellite servicing program, which has seen stops and starts, with its latest focus centered on approaching and servicing spacecraft in geostationary orbit more than 22,000 miles (nearly 36,000 kilometers) above Earth. 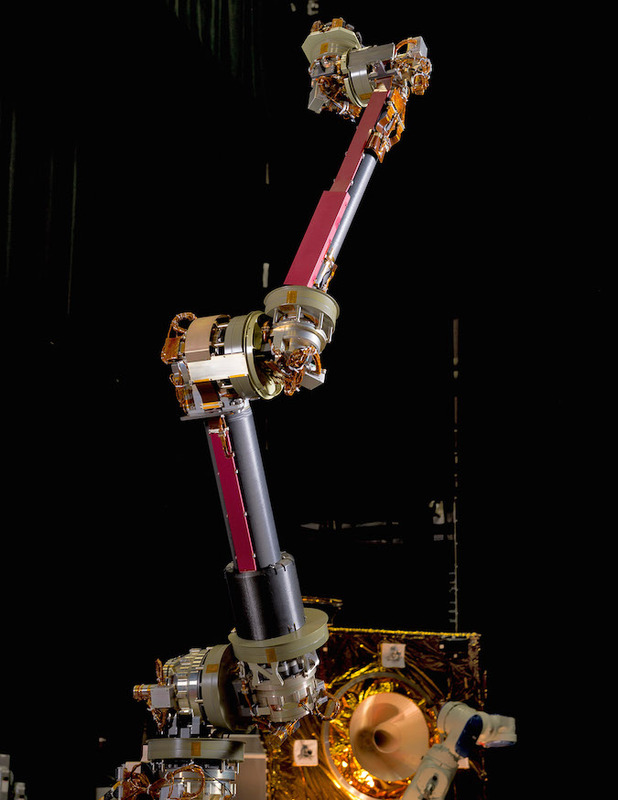 An engineering design unit of the NASA servicing arm, which will be used for the Restore-L mission, stands in the Robotics Operations Center at NASA’s Goddard Space Flight Center. Geostationary satellites are most often used for communications missions. NASA considered a geostationary refueling mission, but elected to try the demonstration in low Earth orbit, settling on Landsat 7 as a target for Restore-L.
Space agency officials are in the final stages of working out a final agreement on the refueling mission with the U.S. Geological Survey, Landsat 7’s owner. 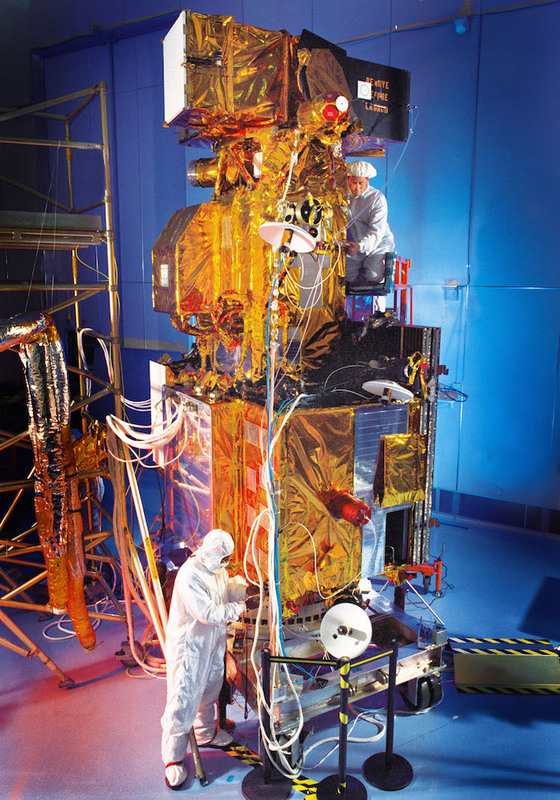 The Landsat 7 satellite is well beyond its five-year design life, and will be in its third decade of service by the time Restore-L arrives. The USGS has a newer land imaging observatory, Landsat 8, that launched in 2013 to take over Landsat 7’s mission, allowing the older craft to transition to a backup role. 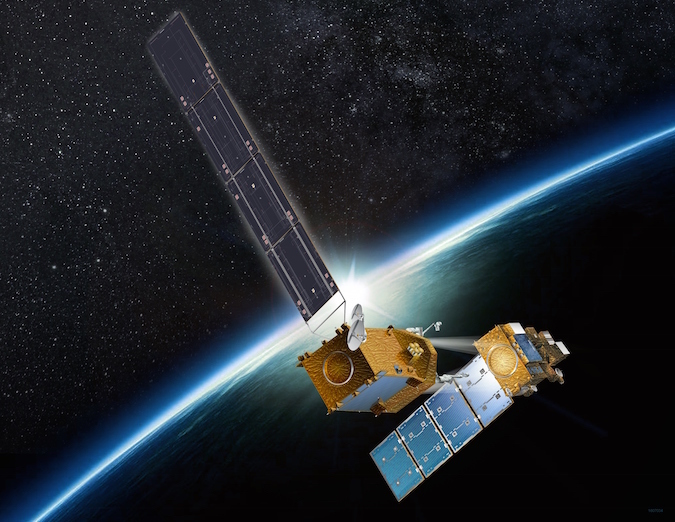 With Landsat 7 no longer a top-priority asset, and with the satellite expected to run out of fuel in 2020 or 2021, the Earth-imaging craft became a natural target for Restore-L’s first-time servicing demo. Reed said Restore-L, built on Space System/Loral’s 1300-series satellite bus, will weigh just shy of 5 metric tons (11,000 pounds) at launch. A rocket for the Restore-L mission has not been selected, but it is compatible with SpaceX’s Falcon 9 booster and United Launch Alliance’s basic Atlas 5 rocket configuration without strap-on boosters. 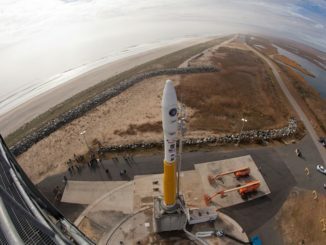 Restore-L will blast off from Vandenberg Air Force Base in California, go through a short period of in-orbit testing, then rendezvous with Landsat 7. Mission managers have budgeted about three months for Restore-L to complete its tasks. The preliminary flight plan calls for the spacecraft to spend about a week at Landsat 7, slicing into thermal blankets, breaking the cap to the satellite’s fuel tank, pumping propellant, and resealing the fuel reservoir. The rest of the flight plan will include in-orbit tests before Restore-L is cleared to approach Landsat 7, a multi-day rendezvous profile, and decommissioning at the end of the mission. NASA aims to transfer the know-how from the Restore-L mission to U.S. companies in hopes of fostering a commercial satellite servicing business. DARPA’s geostationary servicing program, which is, so far, less defined than NASA’s Restore-L mission, has a similar privatization objective. One company is already planning a commercial satellite servicing mission. Orbital ATK’s first Mission Extension Vehicle, named MEV 1, is booked for a flight on an International Launch Services Proton rocket by the end of 2018, heading for an Intelsat communications satellite in geostationary orbit. The MEV 1 servicer will not have the refueling capabilities of Restore-L. Instead, the vehicle will latch on to the Intelsat satellite’s disused rocket engine and take over control of its positioning, extending the client spacecraft’s lifetime as it runs out of maneuvering fuel. Orbital ATK and Intelsat envision the extension vehicle could visit several satellites, keeping the telecom stations active and potentially pushing them around Earth to cover new regions. NASA also hopes robotic satellite repairs on Earth orbit could lead into deep space. The robotic arms and automation to be used on Restore-L could also aid NASA’s Asteroid Redirect Mission, in which an unpiloted craft will snag a boulder from an asteroid and return it to the vicinity of the moon for visits by astronauts. The asteroid retrieval idea has attracted critics in Congress and in the science community, who say the project’s benefits could be achieved in other ways. Backers say the mission would advance deep space solar-electric propulsion technologies required for human expeditions to Mars, offer science opportunities in asteroid research, and test a way to tug an asteroid off a collision course with Earth. NASA’s Wide-Field Infrared Survey Telescope, or WFIRST, scheduled for launch around 2024 is being designed for servicing and refueling once in space. WFIRST will be stationed a million miles (1.5 million kilometers) from Earth at the L2 Lagrange point. The James Webb Space Telescope, the successor to Hubble, is not designed to be visited after its 2018 launch. But some engineers have quietly suggested a servicing mission could be considered if the observatory runs into trouble with the complicated choreography needed to extend its power-generating solar panel, unfurl its thermal sunshield, and unfold its segmented gold-coated mirror.